Cartier was known as the royal jeweller of European countries and was honored as "the emperor of jeweller, the jeweler of emperor". It is a manufacturer of high quality, dazzling and highly accurate clocks and jewelry. 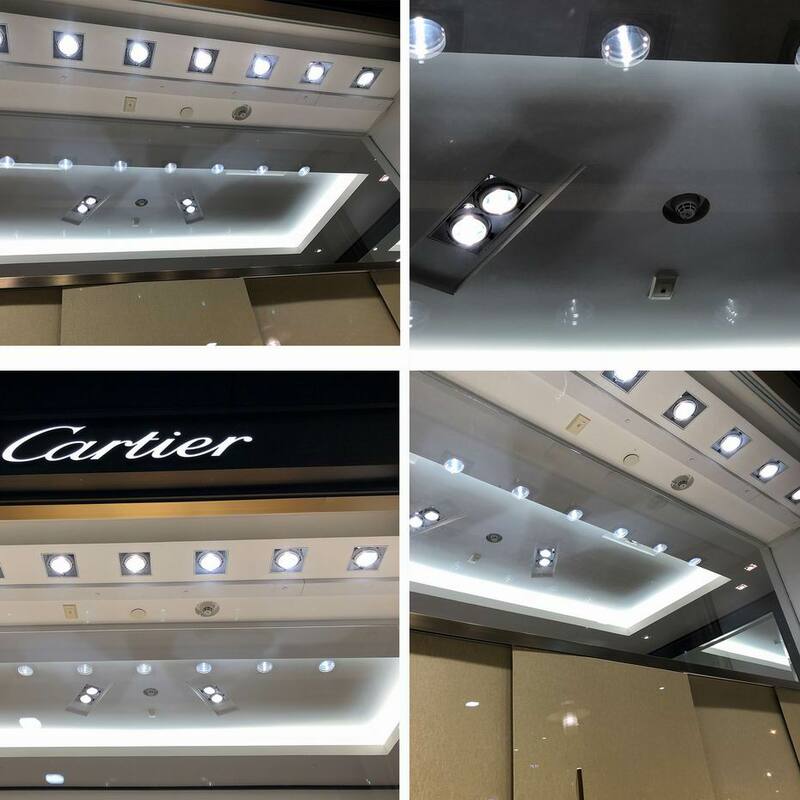 The lighting control products of Guangzhou Skydance are applied to Cartier store in Shenzhen, Guangdong, China. 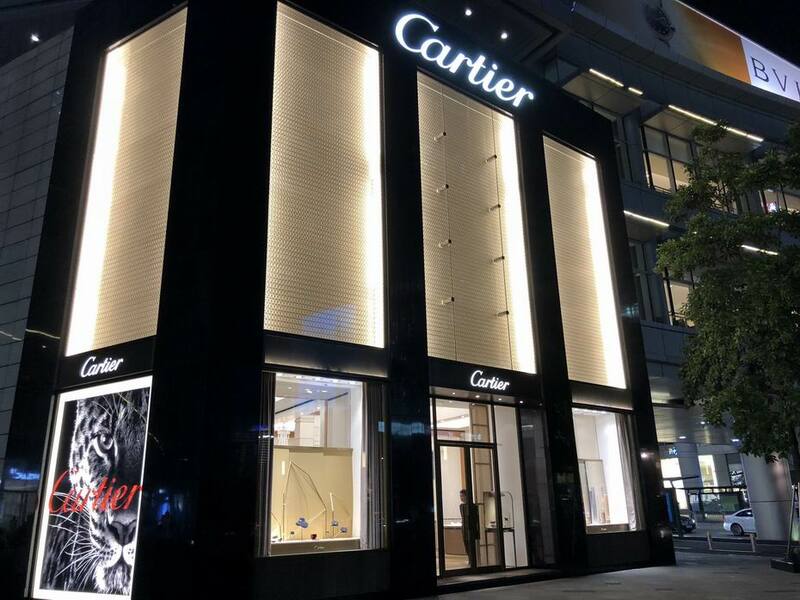 The perfect lighting and dimming effect are integrated with Cartier's elegance, noble building design. That would better show the brilliance of Cartier jewelry. In this lighting project, nearly 200 pcs of DMX512 decoder D4C-L of Skydance’s DMX series has been extensive used. The lighting effect of RGBW was realized by matching the corresponding lamps and lanterns. Skydance DMX controllers are designed with the latest DMX512, DMX512(1990), DMX512-A and RDM standard protocols, which enable users to set DMX address, choose output channel quantity, PWM output frequency and output brightness curve manually. The advanced RDM decoder features bi-directional communication function which enables DMX console to detect decoder, displays decoder information and sets DMX address. The DMX lighting control system consists of DMX console(DMX master) that sends DMX control signal and DMX decoder (DMX slave)which receives the control signal and outputs PWM signal to connected LED lights. Furthermore, with an additional DMX Signal Amplifier DA, the DMX control signal will be double extended. With built-in RF 2.4G module, the DMX master can be controlled by a variety of single color, dual color, RGB, RGBW, RGB+CCT remotes.